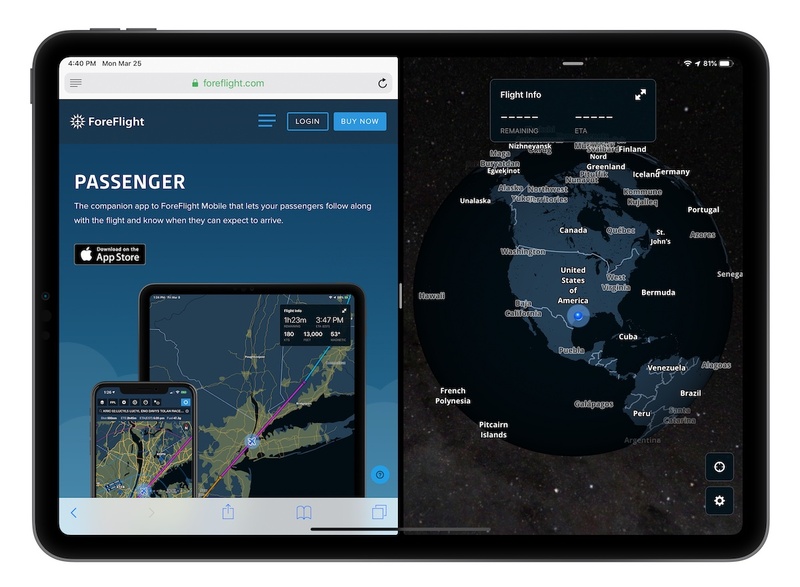 The inflight companion app to ForeFlight Mobile that lets your passengers follow along with the flight and know when they can expect to arrive. 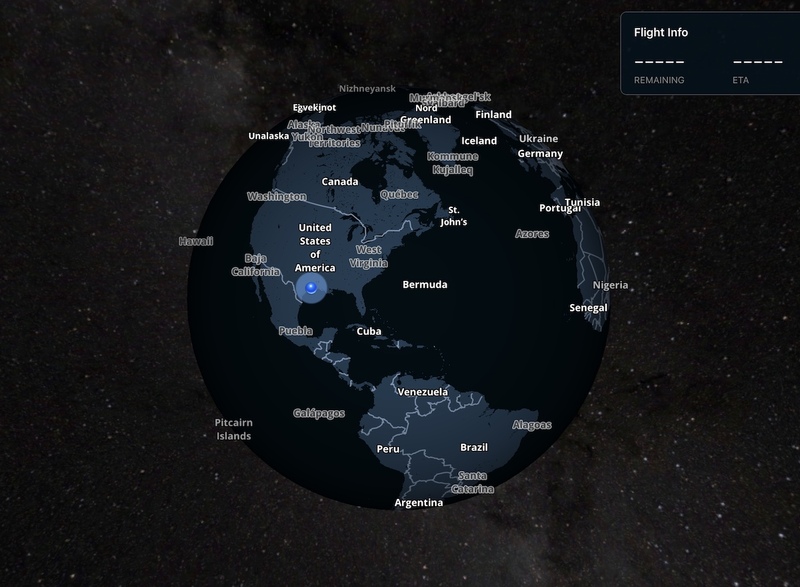 New Receive GPS data in Passenger from ForeFlight Mobile and connected Gogo inflight Wi-Fi systems. 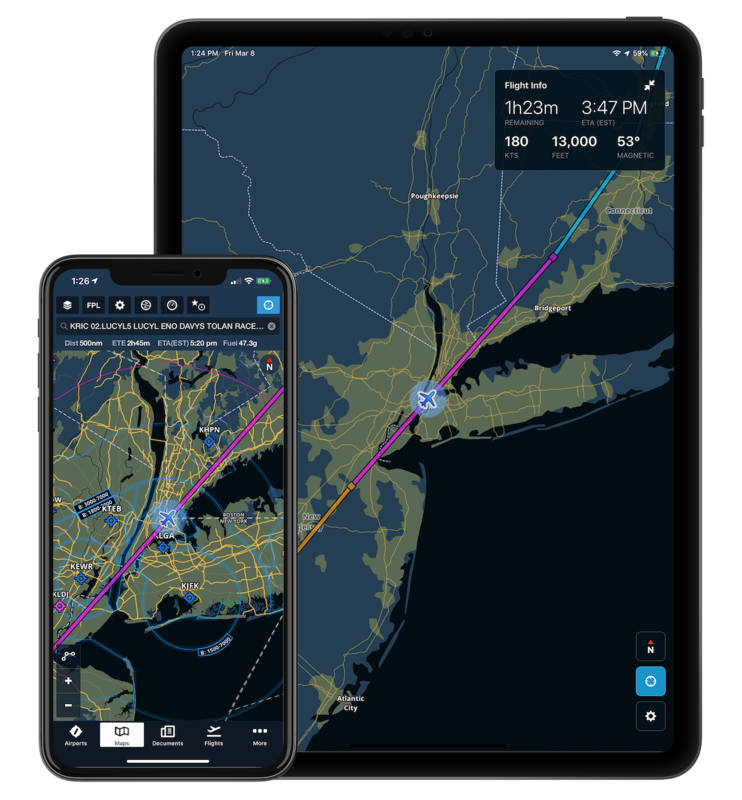 Passenger is the companion app to ForeFlight Mobile that answers the question “Are we there yet?” Built on ForeFlight’s high-performance map engine, Passenger automatically connects to your pilot’s ForeFlight app and displays the current route so you can monitor your flight’s progress. Passenger also provides helpful flight information like time to destination, expected arrival time, altitude, groundspeed, and magnetic bearing. Any time your pilot makes changes to the route in ForeFlight, Passenger will automatically update the route shown to reflect those changes. ForeFlight Mobile will only share route information with nearby Passenger devices - Passenger does not support ground-based flight tracking. 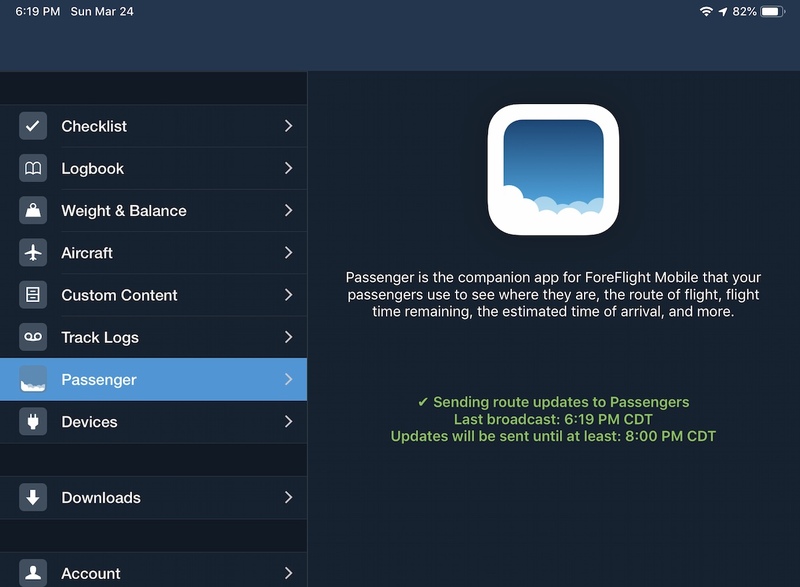 ForeFlight customers must update to at least version 11.2 to share their route with Passenger. Pan and zoom around the world with ease thanks to Passenger’s advanced map engine or leave the map auto-centered on your location. The map displays country and state boundaries, city and place labels, roads, railways, rivers, natural parks, and urban areas, making it easy to identify ground features from the air. No need to ask when you’ll arrive - Passenger uses your device’s GPS data to power helpful inflight metrics showing your speed, altitude, magnetic bearing, time to destination, and estimated arrival time. Your pilot's device will also provide some of this information to Passenger before takeoff or when GPS data isn't available, such as when using a Wi-Fi only iPad. 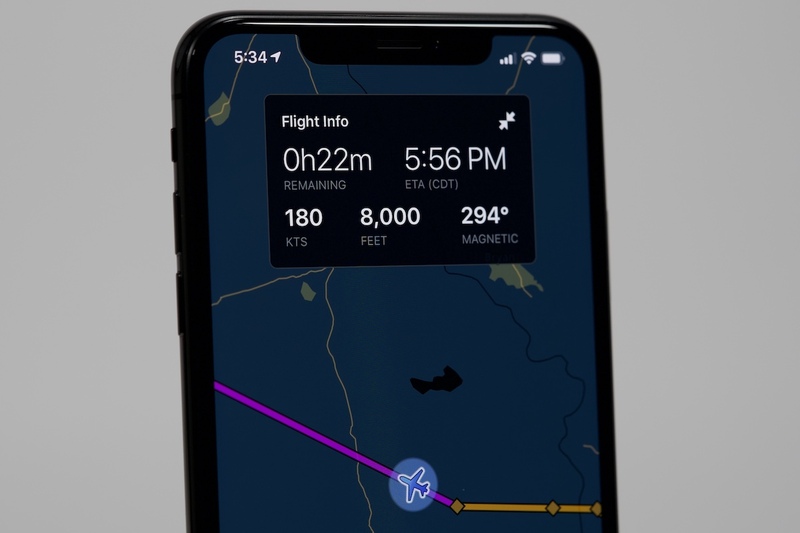 Once your pilot enables route sharing in ForeFlight, Passenger will automatically connect and display the current route on your device, along with any changes made during the flight. There’s no limit to how many devices ForeFlight can share its route with, so everyone on board can stay on the same page with Passenger. If you're using a Wi-Fi only iPad or don't have a GPS fix, ForeFlight will also share GPS data with your device so you can see your current position in Passenger. Passenger supports multitasking on iPad, allowing you to overlay the app in a small window on top of another app using Slide Over, or open it alongside another app in Split View. Passenger is free to download from the App Store, with no account creation, subscription purchase, or download selections required. Just open the app and you’re all set to start following along. Tell your friends, family, and anyone else who rides along to download Passenger before boarding! Need help? Check out the Passenger Guide.